Sandra Lee McAdams of East Branch, a homemaker and lifelong area resident, passed away Thursday, October 11, at Wilson Hospital in Johnson City. She was 77 years of age. The daughter of the late Alice (Stout) and Lloyd Edwards, Sandra was born May 31, 1941 in the Town of Rockland. She was the widow of Robert McAdams, who died on October 15, 2015, after 54 years of marriage. After the unfortunate passing of both her parents during her childhood, Sandra was raised by her loving step-mother, Evelyn Edwards on Horton Brook. Sandra was a graduate of Roscoe High School who loved to garden and tend to her flowers in the summer. She was an avid knitter and quilter during winter, making many blankets and toys for her grandchildren. 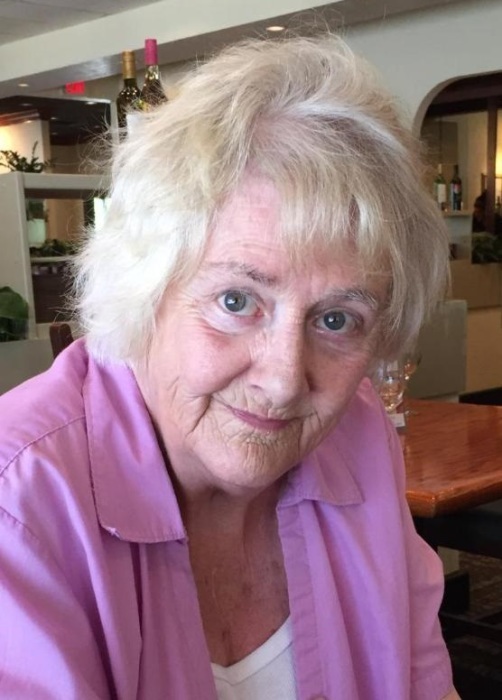 For many years she was an election day voting poll worker in the Town of Hancock. Sandra enjoyed watching the New York Giants, win or lose, as well as the New York Mets. However, it was her time with her loving husband Bob, in which she was happiest. Sandra accompanied him on his fishing trips, reading her beloved books, while he cast his line for the perfect trout from the Pepacton Reservoir or sought the biggest salmon on the Pulaski River. She is survived by daughters Christine Kauffman of East Branch, Natalie Prusik of Endicott, Kathleen MacGibbon of Shelbyville, Kentucky, and Susan Baber of Sugar Land, Texas; nine grandchildren Allyson, David, Andrea, James, Alex, Ethan, Daniel, Jessica and Hannah; and two great- grandchildren Liam and Leah; her cousin and best friend, Kay Babcock Kaufman of Downsville; her dog, Chloe, will miss her very much as well. She was predeceased by her husband, Robert R. McAdams; and recently by her sister Audrey Shaffer (Edwards) of the Albany area. She leaves behind many cousins, her childhood friends, of the Downsville and Roscoe areas. Graveside services and burial will be Saturday, October 20, 2018 at 1 PM in the Cooks Falls Cemetery, Cooks Falls, NY. The Rev. Paul Cicio will officiate. Memorial contributions in Sandra’s name may be made to Heart of the Catskill Humane Society, 46610 State Route 10, Delhi, NY 13753.